The Cottonwood Trail is a 85 km partial loop with trailheads at Kathleen Lake and the Mush Lake Road. The trail varies from a rough narrow road to single track; it follows the shore of alpine lakes, passes through stands of spruce and poplar; crosses two mountain passes, and follows through open meadows. Tis trail is regarded as one of the best hiking routes in the park. For the adrenalin thirsty, the highlight of this trail may be the adventurous creek crossings. Early in the day we leave Whitehorse for the 200km drive to Haines Junction and the trail head. At the visitor centre we will have to register for our stay in the park, and after participating in a safety briefing we can enjoy the centre’s exhibition. At the trail head at Kathleen Lake, our backpacking adventure starts. The trail follows the mountainside above the lake until we reach the first creek crossing. After this crossing hiking gets easier and soon we will arrive at our first camp site. There are no established campsites along this trail which gives us the freedom to pitch our tents in great spots. Together we will prepare our meals on the camp stove. The trail will lead us through a variety of landscapes. The trail is most of the route easy to follow and has only moderate uphill sections. Challenges along can include high water for creek crossings. We will have time to soak in the great vistas and peacefull silence of Kluane’s backcountry. We will sleep in our tents and prepare together our meals on the camp stove. At the end the route follows an old mining road and offers easy hiking to the end of the trail. We will have to say good bye to Kluane National Park. We will drive back to Whitehorse where a soft hotel bed and a refreshing shower will be greatly enjoyed! You will catch your flight home, embark on your next adventure with Taiga Journeys or continue your own journey. There are only few bridges on this trail so hikers must be prepared to wade across creeks in order to cross. A great variety of northern plants and a variety of wildlife including Dall sheep, mountain goat, grizzly and black bear, ptarmigan, owl, moose and others inhabit the area. This route requires good fitness, since our backpack will be weighted with all our equipment and the food. 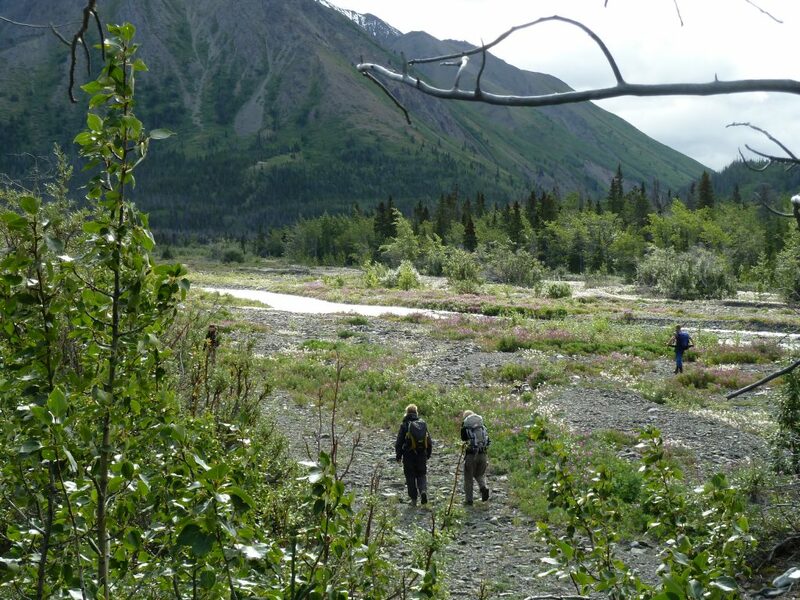 This backpacking tour can be combined with a canoe trip on the rivers Teslin or the Big Salmon. Kluane National Park Reserve is located in the southwest corner of the Yukon Territory, bordering on British Columbia and Alaska. Kluane National Park (pronounced “Kloo – wah – nee) covers an area of 21,980 square kilometers. It is a land of an impressive diversity. The extensive mountain massive of the Wrangell – St. Elias chain is part of the Kluane National Park. Mount Logan, 5959m, Canada’s highest mountain, is within the park boundaries. The park has one of the most extensive non-polar ice fields in the world. The park protects valleys and alpine tundra that yield a unique array of plant and wildlife species. 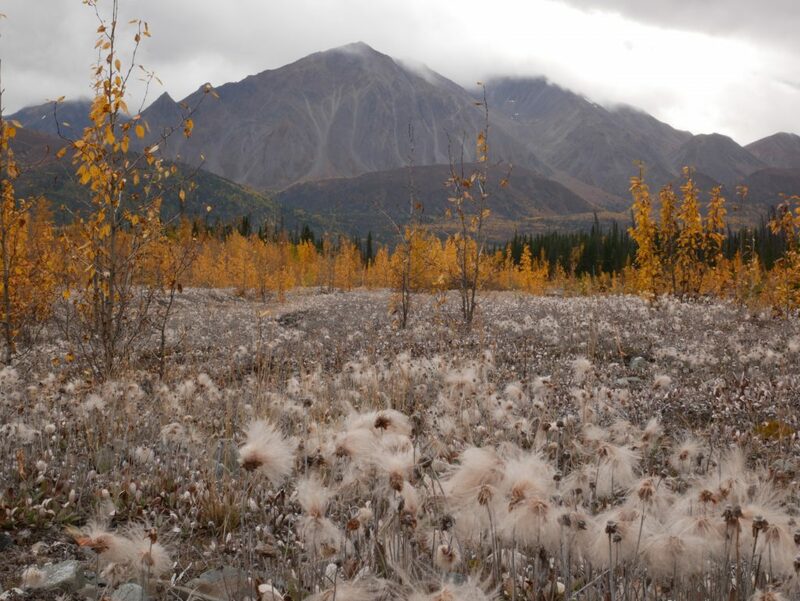 Kluane has the largest diversity of pacific and arctic flora north of the 60th parallel. 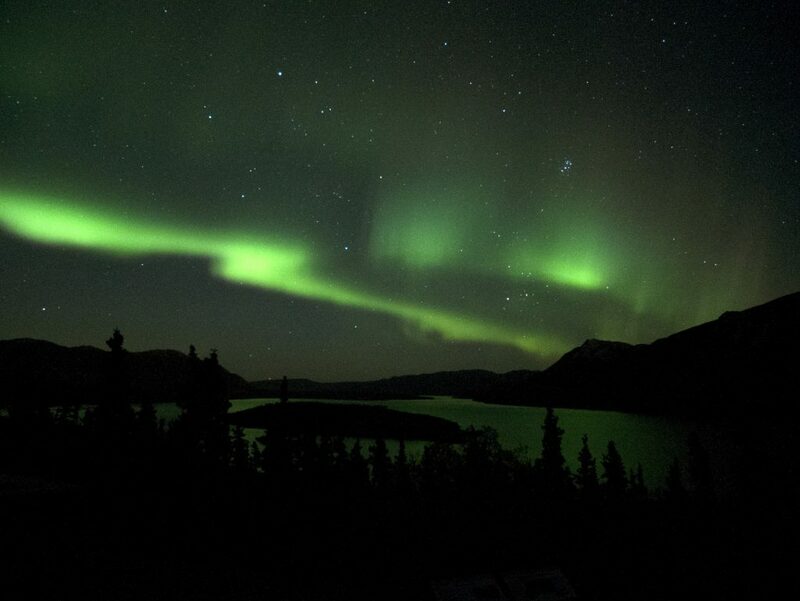 The gateway to activities in the park is Haines Junction, which is about 160 km west of the Yukon’s capital, Whitehorse. Kluane and its American counterpart, Wrangell-St. Elias National Park, were jointly declared a World Heritage Site by UNESCO in 1979.